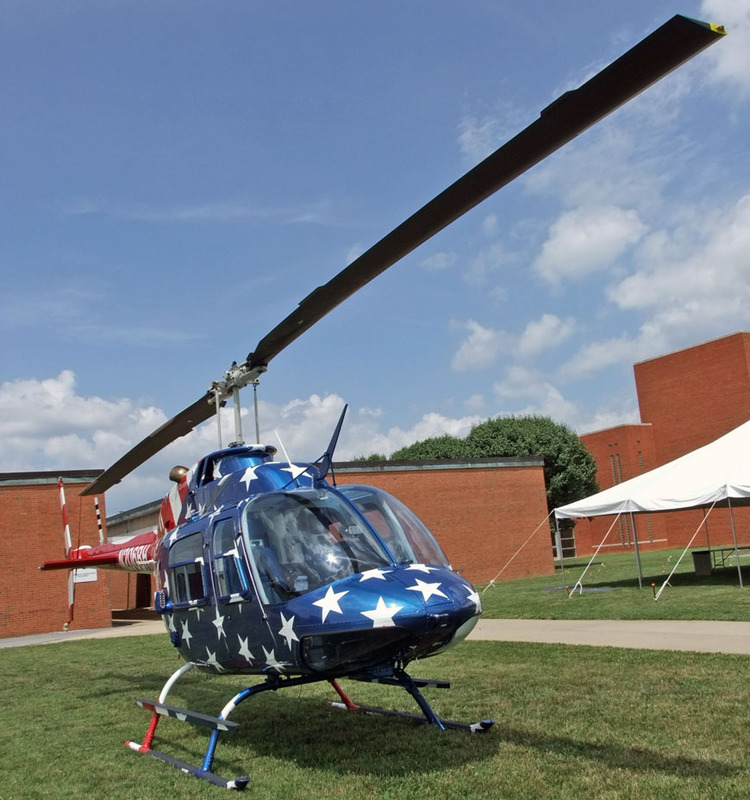 Northeast State Community College (NeSCC) and Bell Helicopter Piney Flats have announced an educational collaboration to develop the next generation of aircraft technicians and aviation professionals. Bell Helicopter Piney Flats training instructors will act in an advisory capacity to NeSCC regarding aviation- related course content. In addition, members of the Bell Helicopter Piney Flats team will serve on the curriculum steering committee to assist the college in the development of an aviation-specific curriculum to provide the foundational skills for the next generation of aviation professionals. The collaboration is the foundation of a long-term strategy to promote advanced technical training throughout the region. The College envisions this trained workforce will allow area employers to recruit from the local talent pool rather than seeking prospective employees through national staffing agencies. Bell executives and state officials join President Janice Gilliam to announce a new agreement between the company and Northeast State. The program is designed to create craftsmen with the foundational mechanical and electrical skills required in the aviation, automotive maintenance/repair, HVAC, industrial electricity and electronics industries, among others. Core classes begin in the fall of 2014 with specific aviation courses offered in the spring of 2015. The Bell Helicopter/Northeast State aviation-related program is the first objective of a regional aviation initiative and steering team. 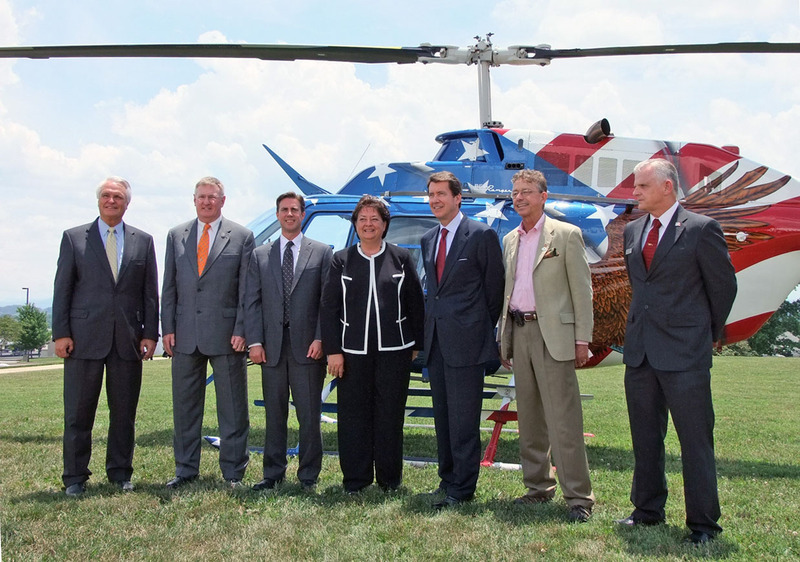 The Bell Helicopter/Northeast State aviation-related program is the first objective of a regional aviation initiative and steering team founded in mid-2013. The mission of the Aviation Initiative is to promote workforce development by fostering the advancement of aviation-related skills and knowledge through collaboration of local academic institutions, civic leaders, government officials, corporations, communities, and aviation advocates. Additional objectives will be to develop a flight school and a four-year aviation curriculum. Project partners include East Tennessee State University and the Tennessee College of Applied Technology – Elizabethton. Partnerships are to be established with area K-12+ school systems to promote aviation careers, and local and state economic development resources to attract aviation/aerospace industries. The ceremony was held on the College’s Blountville campus on June 24 at 1 p.m. Distinguished guests included the Honorable Ron Ramsey, Tennessee Lieutenant Governor; the Honorable Bill Hagerty, Tennessee Economic and Community Development Commissioner; and Chad Nimrick, Bell Helicopter General Manager. Program participants included Aviation Initiative Program co-founders: the Honorable Tony Shipley, Tennessee House of Representatives; Bell Helicopter Training Manager Richard Blevins; and Hank Somers. Additional program participants are NeSCC President Dr. Gilliam and staff; Wysong Enterprises; Advanced Flight Training CEO Beverly Barnett; Tri Cities Regional Airport; Bristol Tennessee City Schools; and Networks – Sullivan Partnership. For additional program information, please contact the Northeast State Office of Admissions and Records at 800.836.7822 or admissions@NortheastState.edu. Visit http://www.driveto55.org for information about the Drive to 55 initiative. Northeast State’s Hot Nights, Cool Music Summer Concert Series welcomes the Taikoza Japanese Flute and Drum Ensemble featuring the soulful Shakuhachi music accompanied by the powerful and ancestral taiko drums of Taikoza. Taikoza performs on Thursday, June 26 at 7 p.m. in the Wellmont Regional Center for the Performing Arts theatre on the College’s main campus in Blountville next to Tri-Cities Regional Airport. The concert is free and open to the public. 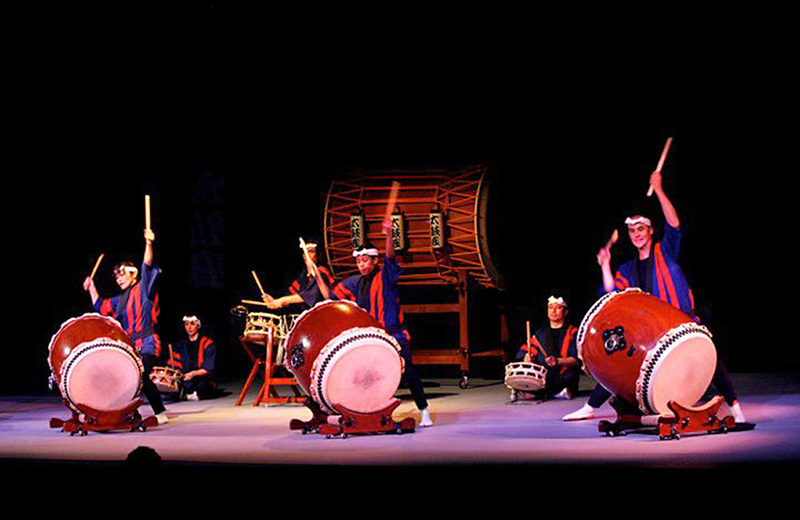 Taikoza uses the rhythms of the powerful taiko drums to create an electrifying energy that carries audiences in a new dimension of excitement. The taiko is a large, barrel-like drum that can fill the air with the sounds of rolling thunder. Roughly translated, taiko means big drums – and that’s exactly what Taikoza brings. Founder and musical director Marco Lienhard was a professional taiko player in Japan. He mastered the shakuhachi under Master Katsuya Yokoyama, quickly becoming a virtuoso solo artist. In 1995, Lienhard founded Taikoza and toured around the world. This exciting group draws from Japan’s rich tradition of music and performance to create a highly visual performance. Drawing from Japan’s rich tradition of music and performance, Taikoza has created a new sound using a variety of traditional instruments. In addition to drums of assorted sizes, Taikoza incorporates the shakuhachi, the fue (both bamboo flutes) and the koto (a 13-string instrument). The band’s members include Malika Yasuko Duckworth, Marguerite Bunyan, Chikako Saito, Yoshiko Canada, Kenji Nakano, and Masayo Ishigure. Taikoza has appeared on different TV programs such as Macy’s Thanksgiving parade, the History Channel in History vs. Hollywood and ESPN S.U.M.O: The Battle of the Giants. Taikoza is featured in the movie The Commute. Taikoza has recorded the music for the Nintendo Wii games: Red Steel 1 and 2. The members of Taikoza have performed around the world in some of the most prestigious halls such as Carnegie Hall, Boston Symphony Hall, Suntory Hall, Osaka Festival Hall and many others. For more information about the summer concert series visit http://www.northeaststate.edu or contact 423.354.5169. 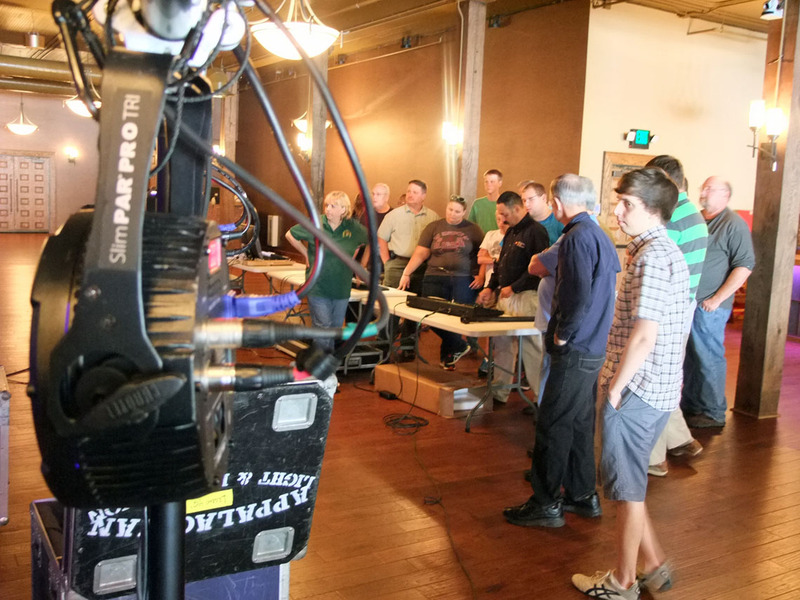 Northeast State’s Business Technologies Division has announced the addition of a technical certificate program in Entertainment Technology – Sound and Lighting. The 24 credit hour program will offer classes starting in fall 2014. The certificate is designed to provide students with the basic knowledge and real-world applications for sound and lighting production. This includes small business management, live sound, recording engineering, concert lighting, electronic/digital music, equipment maintenance, and basic concepts of computer operations. Learn the art and science of entertainment technology at Northeast State. Typical job opportunities include those related to lighting system production for events and concerts, and setting up audio systems for event, concert, and recording productions. The U.S. Bureau of Labor Statistics projects employment for these types of technicians will grow about 9 percent over the next 10 years. Courses scheduled for fall include Computer Applications (INFS 1010), Introduction to Entertainment (ENT 1100), Recording Engineering I (ENT 1300), and Small Business Management (BUSN 1340). The program will be offered at the College’s Bristol teaching site, 620 State Street, Level 3. Students interested in admission to the Entertainment Technology certificate program may contact the office of Admissions and Records at 800.836.7822 or e-mail admissions@NortheastState.edu. Northeast State President Dr. Janice Gilliam was elected president of the Community Colleges of Appalachia for 2014-15 at the organization’s recent annual conference. The Community Colleges of Appalachia (CCA) is a voluntary association of public community colleges serving the common interests of member colleges and their communities through programs and services responsive to the unique cultural, geographic, and economic development challenges facing the region. Currently, CCA has 39 member colleges. CCA builds greater awareness among the general public, the higher education community, regional and national funding sources, and others of the vital contributions now being made by the community colleges of Appalachia in responding to the needs of their communities and of the potential for additional resources to expand and enhance these efforts. Dr. Gilliam became the first female president of Northeast State in 2009. As president of the second largest college in the region, Dr. Gilliam epitomizes the College’s three value statements of respect, responsibility and responsiveness. Under her tutelage, Northeast State was recognized as first among all Tennessee community colleges for its graduation rate, productivity (number of graduates compared to enrollment), and efficiency (lowest cost to produce a graduate). The College recently launched the largest capital project in Tennessee community college history with its Emerging Technologies Complex and expanded with a teaching site in downtown Bristol that features the school’s new Entertainment Technology program. The College will soon be expanding to another teaching site in downtown Johnson City. In 2013, Dr. Gilliam received Phi Theta Kappa’s national Shirley B. Gordon Award of Distinction. She was one of only 30 college presidents recognized with the award, ranking her among Phi Theta Kappa’s most distinguished college presidents. Recently, Gilliam received the 2014 Tribute to Women award from the Bristol YWCA. The award honors leadership qualities, positive impact on the community, and demonstrated growth and achievement. The United States Department of Agriculture (USDA) awarded Northeast State a grant to develop a self-contained Mobile Advanced Manufacturing Virtual Simulator Lab for the College’s innovative training platforms for the department of Advanced Technologies. Northeast State President Dr. Janice H. Gilliam accepted the Rural Business Enterprise grant from USDA representative Chuck Morris on May 29. The grant totals $36,750 with a $16,900 match in equipment purchases provided by the College. “We are delighted the USDA awarded Northeast State this grant to enhance and expand the instructional opportunities we can provide to students across our service area,” said President Gilliam. The mobile simulator lab enables transport of the College’s Welding Simulator, Robotic Training Station, and Automotive Paint Simulator to the College’s teaching sites around its five-county service area. The simulators represent the best of cutting-edge instruction for advanced technology student. The simulators provide efficient instruction by introducing students to basic technological concepts in first-year courses of welding, automotive body technology, and CNC machining. 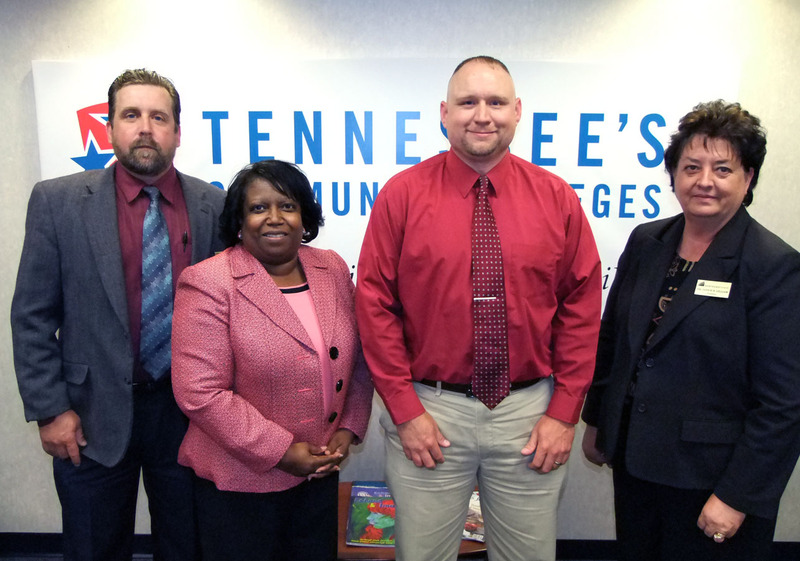 (from left) Sam Rowell, Linda Calvert, Chuck Morris, and Dr. Janice Gilliam. Linda W. Calvert, executive director of the College’s Grant Development office, wrote the grant and submitted it to the USDA to purchase the trailer and related instructional materials. The office of Grant Development cultivates external funding and proposal development processes, and grants management technical assistance for the College programs. Instructors use the simulators to teach Industrial Technology and Electrical Technology disciplines. Students use the simulator tools to learn first-hand experience of what it takes to complete the programs of study. The College realizes a significant financial savings using the simulators rather than more expensive raw materials used in advanced technology courses. President Dr. Janice Gilliam formalizes acceptance of a USDA Rural Business Enterprise grant. Manufacturing stands strong as a major industry in the Northeast Tennessee. According to the 2013 Tennessee Manufacturers Registrar, the region is home to one-third of the Tennessee’s manufacturing jobs and is the second largest industrial employment area in the state. Information compiled by the Alliance for Business and Training expects an increase in demand for industrial machinery mechanics, machinists, and maintenance personnel through the year 2020. USDA Rural Development invests in jobs, infrastructure, community development, health, education, homeownership and affordable rental housing to improve the lives of people in rural areas and the economic health of rural communities. During the last four years the agency has assisted more than 1.5 million Tennessee families and businesses in 158 communities, investing more than $3.7 Billion into local economies through affordable loans, loan guarantees and grants. Northeast State stays proactive in training the regional workforce with on-campus learning programs. To ensure students keep pace with the demands of advanced manufacturing careers, Northeast State initiated the DACUM series to improve teaching methods for students by what skills were in highest demand by regional manufacturers and technology professionals. DACUM uses a storyboarding process detailing what a company’s current employee does in terms of duties and knowledge capital. Industry representative assess and adjust this information on critical and frequently performed tasks and the training needs of workers.